My ‘keeping time’ pieces are a way of providing a counter culture message against our modern day society’s obsession with ‘time keeping’. The series offers visual images about ‘keeping time’ – thinking, sensing and marking the passing of time. This timed, walking piece was started during a holiday in Berlin in April 2017. The walking pieces tell extremely ‘slow time’. 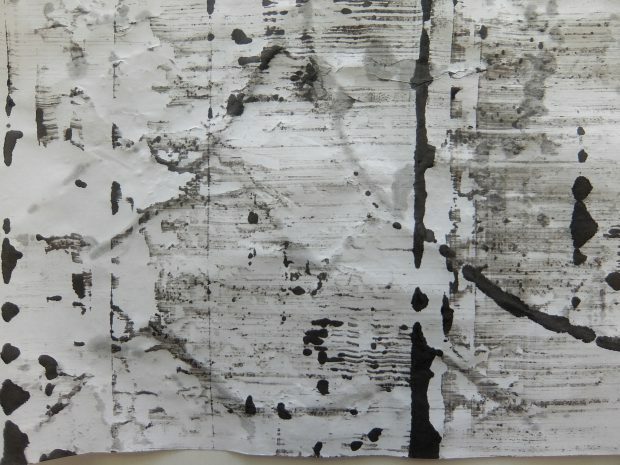 Mark making was later created slowly and reflectively on the walking pieces, as time reveals itself, offering an invitation to the audience to slow down, pause and reflect.